Twin/double (11′ x 11′) with bathroom and wc. Twin/double (12′ x 10′) with shower and wc. Walk-in cupboard. 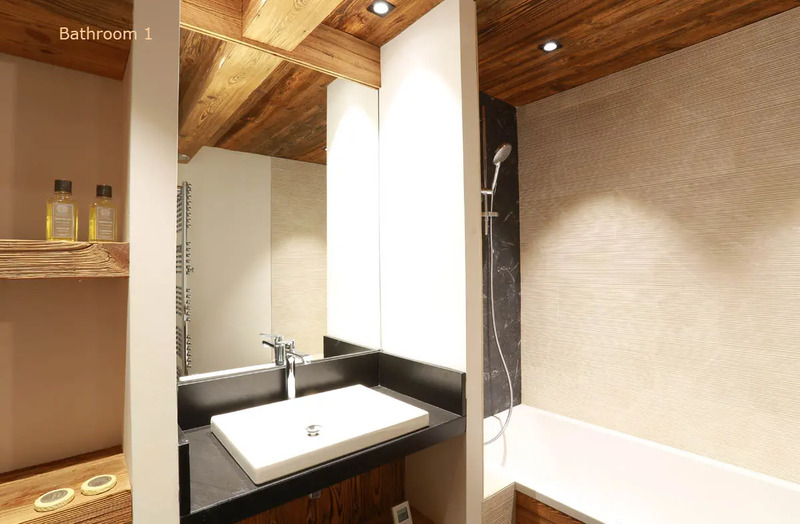 Twin/double (11′ x 8’6″) with shower and wc. Twin/Double (12′ x 9′). A perfect twin/double but with a window onto the hall rather than the outside world, so we sell this room as a single to one person with no supplement. Optional second person pays just half price – see below. Shower and wc. The shower off this bedroom also opens into the sauna. Bright room (30′ x 15′) with south-facing balcony giving a bird’s eye view over the village centre and beyond. Log fire, TV and WiFi. 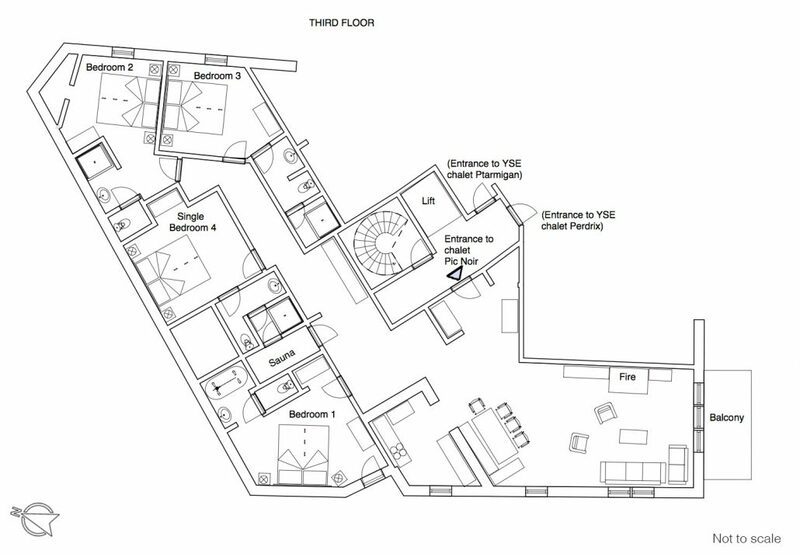 Next to Bedroom 4, with an entrance from the corridor as well as a door from Bedroom 4’s shower. Please note that the use of the sauna is at your own risk and that of your party members. 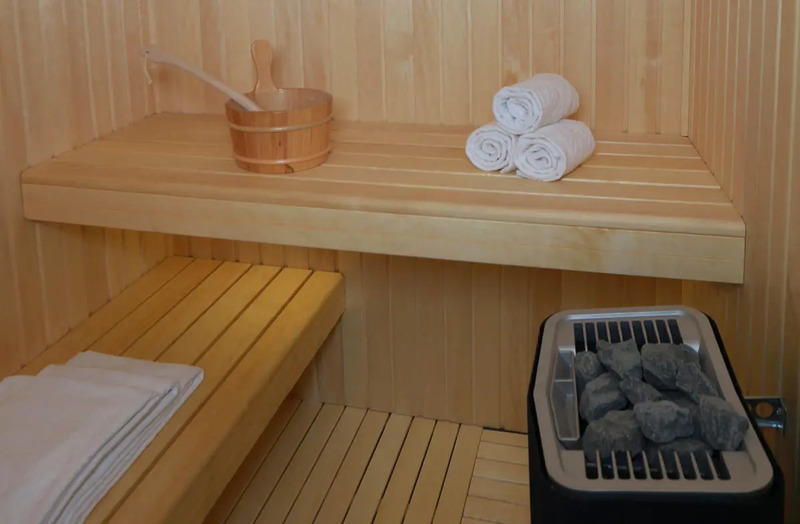 YSE cannot accept responsibility for accidents/injuries that occur during the use of the sauna. Children must be supervised when using the sauna. The cost for this bed is half the quoted Pic Noir price if a flight and transfer are required, or 35% of the quoted price without flight and transfer. 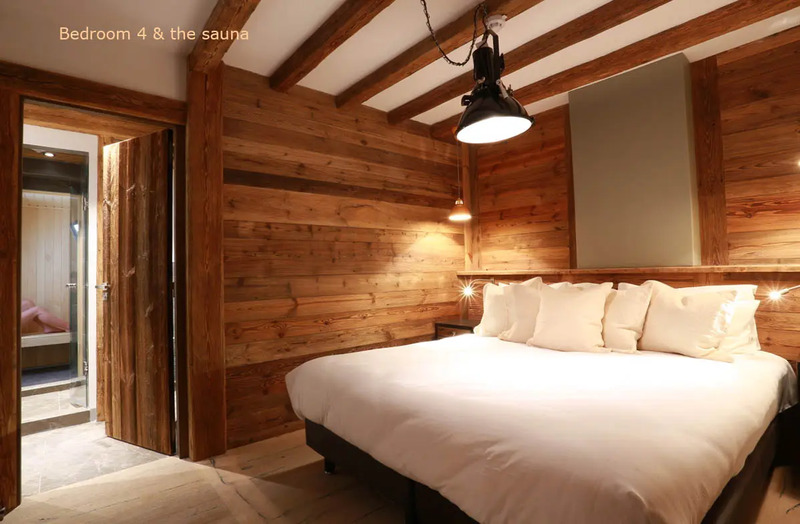 Extra beds can only be used when one party books the whole chalet. 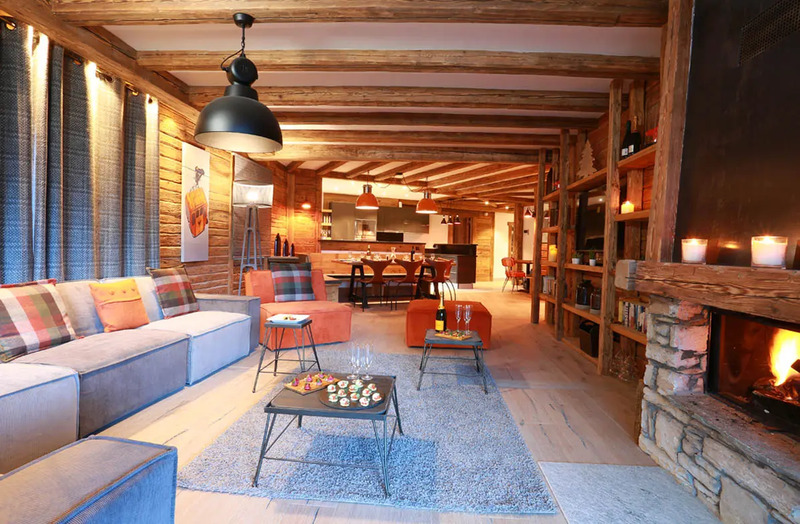 The most sumptuous four-bedroom, four bathroom chalet in Val d’Isère, in the most perfect location, Chalet Pic Noir (the black woodpecker) will satisfy even the most discerning of skiers and non-skiers. So can we justify the hyperbole? 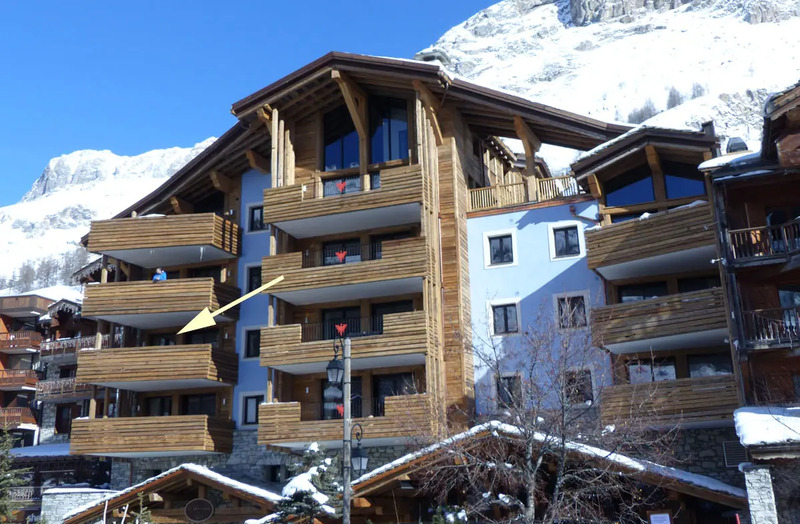 Well, Pic Noir, Perdrix and Ptarmigan are adjacent apartments occupying the whole third floor of the brand-new Résidence du Savoie in the village centre. 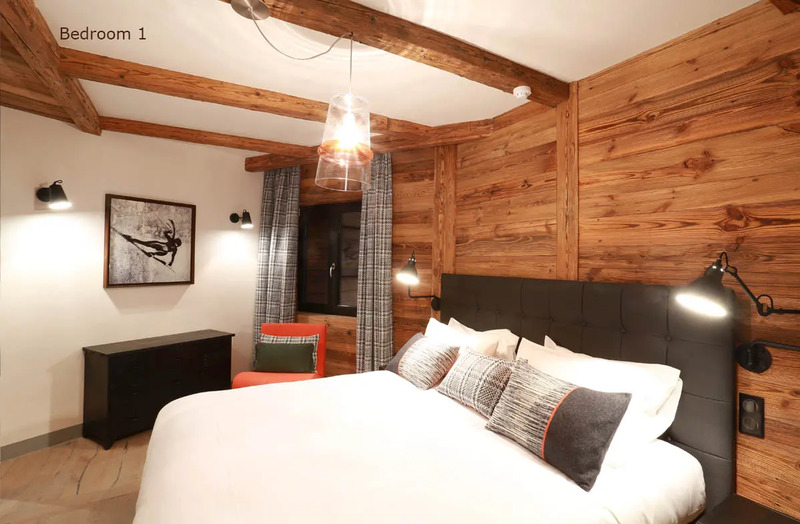 The architect is Michel Covarel, who has pretty much single-handedly transformed Val d’Isère into the elegant resort it has become. 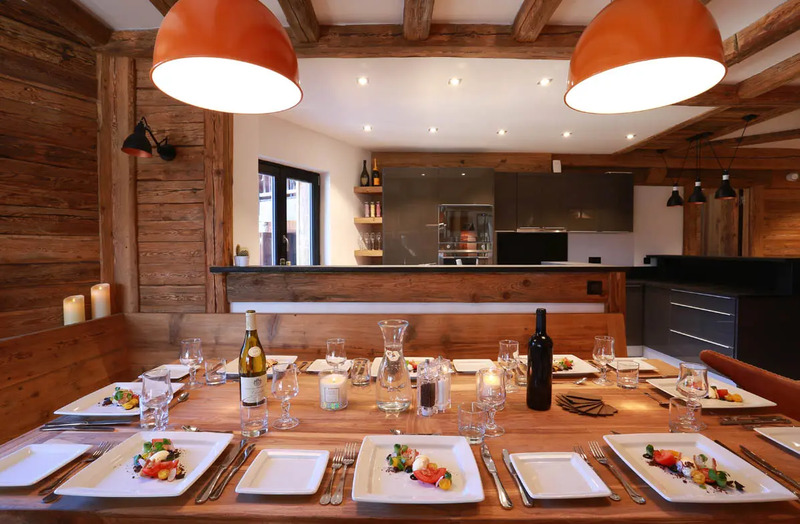 Pic Noir is quite amazing – more like something from House & Garden than a ski chalet. 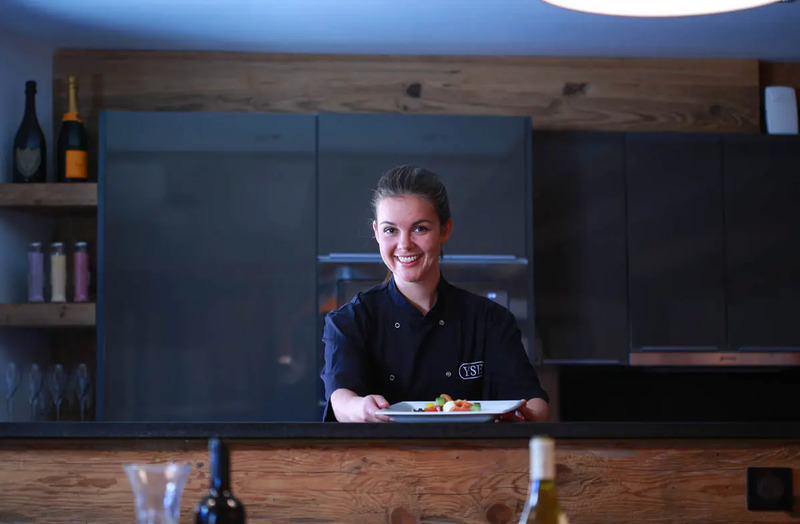 Its kitchen alone is as big as some apartments! The sitting-dining room is spectacular. Full of granite and old timber, with good lighting, modern sofas, a roaring log fire and a massive balcony. It offers the most amazing views from La Daille to Solaise, from the main street to the Face de Charvet. Designerish people will enjoy all of the little colour-coordinated touches; their husbands will love the sliding glass around the fireplace, which means one never needs a fireguard, yet it lights like a blast furnace, then glows through the gloaming. The four bedrooms are beautifully fitted and finished, and all have the option of two good-sized single beds or a huge double. Please specify which you would prefer when you book your holiday. The bathrooms (one bath, three showers) are also sumptuous, with wonderful showers. Bedroom four is a perfect twin or double, but with a window onto the hall rather than the outside world. We sell this room to one person with sole occupancy, but no supplement. Yes, you read that right: a large twin or double room to yourself free of charge, just because it doesn’t have a view! And if you want to bring someone else, that person pays just half price. The shower off bedroom four opens into the sauna. And can the position really be described as ‘the most perfect location’? 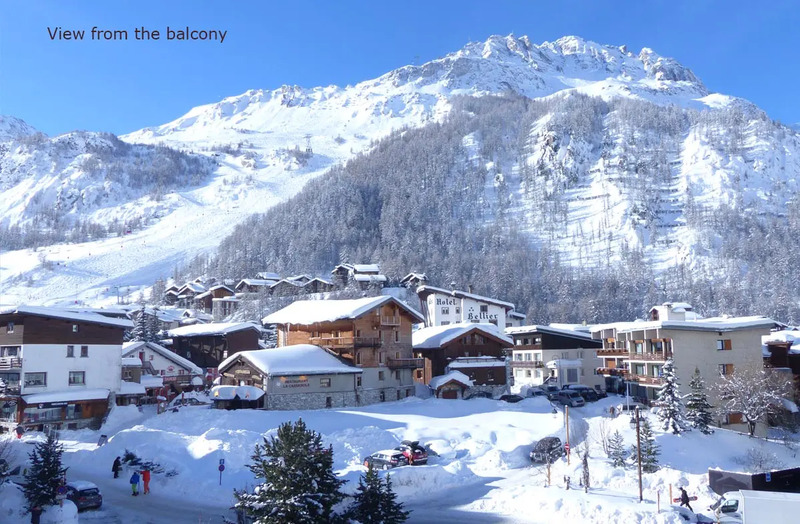 Well, if you remember the old Perdrix Blanche restaurant, or if you know the new Fondue Factory, Chalet Pic Noir is literally on top of them. Bang in the middle of the main street, a few paces from all of the shops, restaurants, bars, pharmacies, physios and anything else one may want after a day on the world’s best slopes, which are just a four-minute walk away.